We are in the albergue Verde in Hospital de Orbigo. The two hospitaleros are preparing vegetarian dinner for us (John and I, and Sophi a French pilgrim). I just came back from their yoga room (downstairs), all happily stretched out. 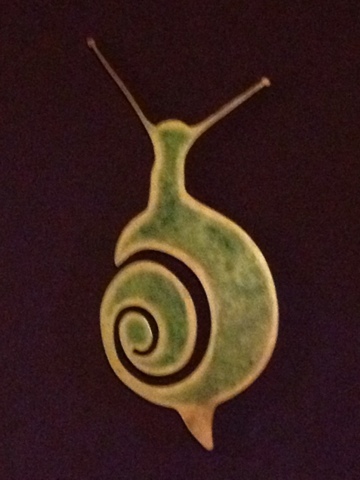 I noticed many snail decorations around the building so I asked if this means something special. Miriam told me it symbolizes pilgrims – move very slowly with a house on the back (backpack) and the albergue feeds them green leaves (vegetarian food) when they arrive. Perfect! And I offer a very common blessing from a yogic tradition – may all beings everywhere be happy and free!